One of the great joys of my childhood was playing Hide-and-Seek with my mom. We loved to play inside the house or outside, and not just when I was a very little girl, either. I remember playing into my preteen years at the very least. Even as I got older, whenever we would walk through an antique mall or museum, we'd point out 'nooks and crannies' (which we LOVED) and say how great of a place it would be to play Hide-and-Seek. How boring would that game have been if there were just someone hiding and nobody seeking? You'd sit there forever, ignored, feeling lonely and wishing for someone to play along with you. How maddening would that game have been if there were just someone seeking and nobody hiding? A forever search with no 'end of the rainbow' prize. The game was so great because the two players enjoyed each other's company, had the same sense of fun and joy, and really put their all into it. I find, these days, that I lack a great deal of joy from time to time. Not always, mind you. My life is a blessed one, for sure, and I'm grateful all the time for the people and things that I have in it. But have you ever noticed that there's a difference between being happy or content and really experiencing true joy? Like, I'm happy if I have a couple of chocolate chips when I've got a sweet-tooth nagging at me. But I feel great joy when I sit and eat a bowl of chocolate and peanut butter ice cream while watching my favorite tv show next to my daughter and my husband. Like, I'm happy if I get a hot bubble bath at the end of a long day, but I feel great joy when I get to take a day off and spend it at the beach, when the waves are high and I can jump into them with abandon, and the water is just the right temperature, and the sun is shining brilliantly. Like, I'm happy if I hear my favorite song on the radio, but I feel great joy when I'm at a concert from the band that plays my favorite song and they PLAY MY FAVORITE SONG! LIVE! I'm happy with my life. I truly am. My family is the best, all of them. I married the man I was meant to marry and I'm still crazy in love with him a decade later, probably annoyingly so. We have a big house, can pay all our bills on time each month, live in a quiet little town, have two dogs and a car and a nice backyard and garden. I'm happy with my life. When I stop trying to 'make everything work'. When I don't just toss out a list of prayer requests and then go about my day trying to answer the prayers myself. 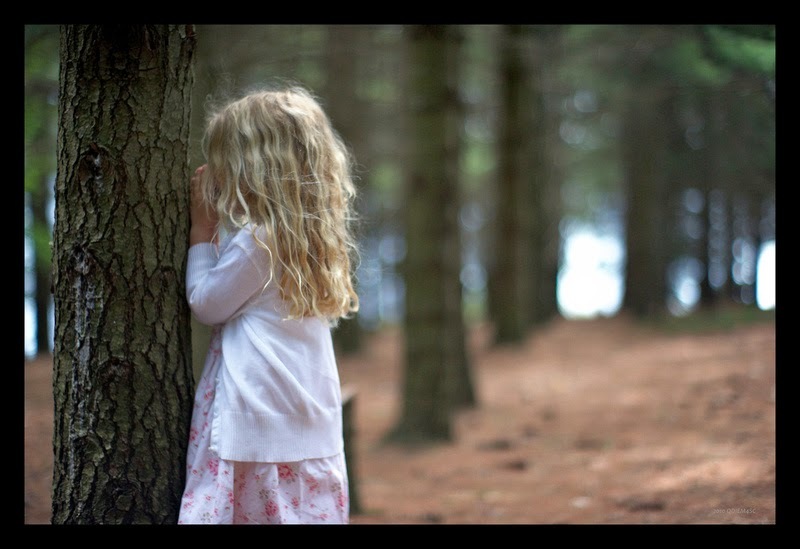 When I take a breath and play Hide-and-Seek... with God. The difference is, He's never hiding. I'm just hiding Him. I put Him into this tidy little corner underneath a blanket for a rainy day. But I'm called to seek. "Seek first the Kingdom of God, and His righteousness, and all these things will be added to you," says Matthew 6:33. It doesn't say, "Seek first all of these things and then spend some time with God telling Him what you still want when you have a free moment." It doesn't say, "Spend time trying to make all of your plans work and then come to Him if they fail." It says to seek Him first. It really doesn't sound too difficult in theory, but we're hardwired to be in control. We live in a demanding world with a million responsibilities and we feel we have to compartmentalize things, to organize them according to priority, and for the most part that's all true... but how is it that God falls lower and lower on the priority list? Because we can't see Him in front of us? No. Because He's less important than the daily things? No. It's because He's not demanding. He's not going to force Himself on us. He's inviting. He's going to let us know up front that He's there for us for any and every reason, that He should be our first resort and not our last, but He's never going to stick a cattle prod to us and drive us His way. It's up to me to do the seeking. And when I finally do, I find Him... and I always feel great joy.